Consumer friendly packaging is just the beginning of what we help our pharmaceutical customers accomplish. When dealing with patient adherence – meaning how compliantly patients take their prescribed medication, pharmaceutical companies have to consider the packaging as playing a crucial role. The costs of non-compliance for patients who cannot understand the instructions or decode the packaging are too high to ignore. We help pharmaceutical companies create packaging which deals with dosing regimens, patient instructions, patient record keeping and more. So if you need unique designs to drive medication adherence, our in-house Creative Service Team can help you put the artwork together for approval. If you have a design in mind, we will help you achieve it. We also can provide guidance on how to accomplish the most senior-friendly packaging or most child-resistant F=1 packaging or both. Heat-sealed cards can include dosage instructions, patient record keeping, coupons and reply cards. In addition to helping you achieve packaging which is patient compliant, we can also help you meet the requirements of your regulators. Our cGMP quality systems and rigorous QA processes are in place to meet FDA, DEA and MHRA requirements. 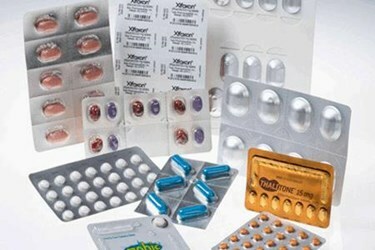 We are GDUFA compliant and serialization and aggregation ready. Our goal is the most compliant packaging for your product – one that protects patients with every feature to help them take their medication on time and correctly.